NextView to acquire Lithium X Energy Corp.
VANCOUVER – Lithium X Energy Corp. ("Lithium X" or the "Company") (TSXV: LIX) (OTC: LIXXF) and Nextview New Energy Lion Hong Kong Limited ("NextView") are pleased to announce that they have entered into a definitive agreement (the "Arrangement Agreement"), pursuant to which NextView has agreed to acquire all of the issued and outstanding common shares and warrants of Lithium X (the "Arrangement"). 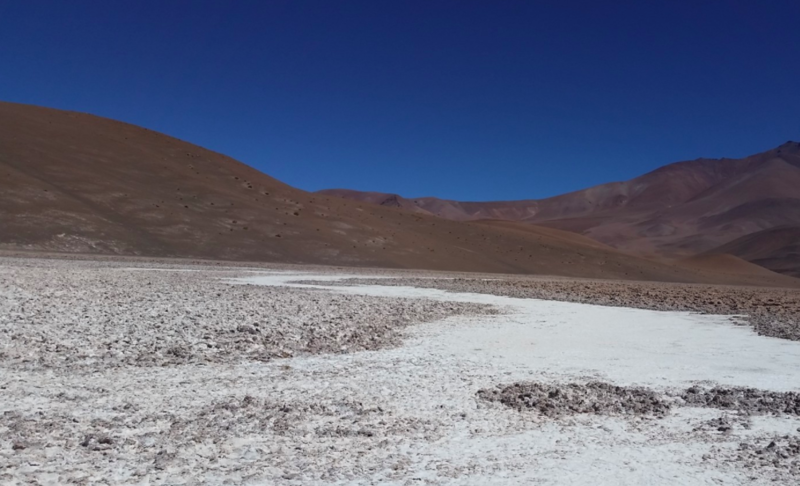 Lithium X's flagship project, Sal de los Angeles lithium brine project, as well as Arizaro Lithium Brine Project are located in the prolific "Lithium Triangle" in mining friendly Salta province, Argentina. Under the terms of the Arrangement Agreement, each common share of Lithium X will be purchased by NextView at a price of $2.61 per share (the "Share Consideration"), and each warrant of Lithium X will be purchased by NextView at a price of $0.01 per warrant (the "Warrant Consideration"). The consideration to be received by the Lithium X shareholders pursuant to the Arrangement represents a premium of 29.4% to the 20-day volume-weighted average trading price of the Lithium X shares on the TSX Venture Exchange ending on December 15, 2017 and a 22.5% premium to the closing price of the Lithium X shares on the TSX Venture Exchange on December 15, 2017. The Warrant Consideration is nominal, reflecting the fact that the value of the warrants is being crystalized at an amount less than their $2.75 strike price. On completion of the Arrangement, all options to purchase Lithium X shares that have not been exercised will be automatically terminated under the terms of Lithium X's option plan. All restricted share units will be redeemed for a cash amount per RSU equal to the Share Consideration. Lithium X Chairman, Paul Matysek and Brian Paes-Braga, Founder, CEO and Director, stated: "Today's announcement successfully delivers on our team's commitment to maximize value for our shareholders. Lithium X was founded at a minimal market value and went public two years ago, with a mission to help wean the world off fossil fuels through the development of high quality lithium deposits. We believe this $265 million transaction puts our flagship asset, Sal de los Angeles, in the hands of a well-funded, technically capable team. We thank NextView and its partners for their commitment to this transaction and provide our best wishes in their continuing efforts to complete on our mission." Mr. Yaping He, Managing Partner of NextView, stated: "The acquisition of Lithium X's wholly owned flagship project, the Sal de los Angeles lithium project (the "SDLA Project") represents a key cornerstone investment in NextView's strategy of developing a leading global player in the new energy sector. The SDLA Project has a mineral resource exceeding 2 million tonnes of lithium carbonate equivalent ("LCE")." The proposed business combination will be effected by way of a Plan of Arrangement completed under the Business Corporations Act (British Columbia). The Arrangement will be subject to the approval of at least 66-⅔% of the votes cast by Lithium X shareholders and warrant holders at a special meeting expected to take place in February 2018. In addition to shareholder approval, the Arrangement is also subject to the receipt of certain regulatory, court and stock exchange approvals and other closing conditions customary in transactions of this nature. The Arrangement Agreement has been unanimously approved by a special committee of independent directors of Lithium X and by the full board of directors of Lithium X. GMP Securities L.P. ("GMP") has provided a fairness opinion to the special committee and the board of directors of Lithium X to the effect that, as of the date hereof, based upon and subject to the assumptions, limitations and qualifications set out in such fairness opinion, the consideration under the transaction is fair, from a financial point of view, to Lithium X shareholders. Directors and executive officers of Lithium X, holding in aggregate approximately 6% of Lithium X's outstanding common shares have entered into customary voting support agreements in favour of the Arrangement. The Arrangement Agreement includes customary deal protection provisions including a non-solicitation covenant on the part of Lithium X and gives Lithium X the right to accept a superior proposal in certain circumstances and terminate the Arrangement Agreement. NextView has a five day right to match any superior proposal. The Arrangement Agreement also provides for the payment by Lithium X of a C$15,900,000 termination fee if the Arrangement Agreement is terminated in certain circumstances and also a reverse break fee of C$20,000,000 payable by NextView to Lithium X in circumstances in which the Arrangement is not completed as a result of a default by NextView. The reverse break fee has been secured through the deposit of US$16,000,000 in trust with Lithium X's counsel in Hong Kong, subject to the terms of an escrow agreement under which those funds may not be released without the consent of both parties. Further information regarding the Arrangement will be contained in an information circular that Lithium X will prepare, file and mail in due course to shareholders in connection with the special meeting of Lithium X shareholders to be held to consider the Arrangement. Shareholders are urged to read the information circular once available as it will contain additional important information concerning the Arrangement. The Arrangement Agreement will be filed on SEDAR. GMP acted as financial advisor to the board of Lithium X. Stikeman Elliott LLP is acting as legal counsel to Lithium X. Credit Suisse is acting as financial advisor to NextView. Blake, Cassels & Graydon LLP is acting as legal counsel to NextView. Lithium X Energy Corp. is a lithium exploration and development company with a goal of becoming a low-cost supplier for the burgeoning lithium battery industry. The Company holds two projects in in the prolific "Lithium Triangle" in mining friendly Salta province, Argentina as well as participating in the Clayton Valley in Nevada through its ownership interest in Pure Energy Metals Limited ("Pure Energy"). The Company's wholly owned flagship project is the Sal de los Angeles lithium brine project. The project consists of approximately 8,747.50 hectares of Salar de Diablillos, and has an NI 43-101 mineral resource estimate of 1.037 million tonnes of lithium carbonate equivalent in the indicated category and 1.007 million tonnes of lithium carbonate equivalent in the inferred category. The Company's second Argentinian project, the Arizaro lithium brine project, consists of 33,846 hectares covering part of the western and eastern portions of the Salar de Azario, one of the largest known salt lakes in the world. In Nevada, the Company consolidated its Clayton Valley holdings with those held by Pure Energy, in the process becoming Pure Energy's largest shareholder, holding approximately 19% of Pure Energy's outstanding common shares. For additional information about Lithium X Energy Corp., please visit the Company's website at www.lithium-x.com or review the Company's documents filed on www.sedar.com. NextView is an active investment firm with offices in Beijing and Shanghai. It manages over RMB30 billion assets and invests in new energy, resources, TMT, sports and consumer sectors. Known for its investment performance in China resources sector, NextView is the second largest shareholder of Tibet Summit Co., Ltd. ("Tibet Summit"). It has also successfully invested in Western Mining Co., Ltd. ("Western Mining"). Both Tibet Summit and West Mining are A-share listed companies in China. NextView has also been extending its focus into new energy/electric vehicle supply chain. Its recent investments in this space include Nanjing Yuebo Auto Electronics Co., Ltd., a leading company in BEV power system in China with its products supplied to 100,000 BEVs annually, and Bacanora Minerals Ltd., a Toronto and London listed lithium exploration and development company which owns a world class lithium project in Mexico. In 2017, NextView has teamed up with Tibet Summit to establish a RMB10 billion (c. US$1.5 billion) natural resource fund to acquire overseas mining assets with a focus on the new energy and resources sectors. The funds limited partners will include several well-known financial institutions, including China Huarong Assets Co., Ltd.
NextView is committed to continuing to invest in global lithium resources and new energy/electric vehicle sector, to achieve an influential position globally and take advantage of its unique access to the Chinese market. This news release contains certain forward-looking information and forward-looking statements within the meaning of applicable securities legislation (collectively "forward-looking statements"). Certain information contained herein including the use of proceeds constitutes "forward-looking information" under Canadian securities legislation. Generally, forward-looking information can be identified by the use of forward-looking terminology such as "expects", "believes", "aims to", "plans to" or "intends to" or variations of such words and phrases or statements that certain actions, events or results "will" occur. Forward-looking statements are based on the opinions and estimates of management as of the date such statements are made and they are subject to known and unknown risks, uncertainties and other factors that may cause the actual results, level of activity, performance or achievements of the Company to be materially different from those expressed by such forward-looking statements or forward-looking information, including the business of the Company, the speculative nature of mineral exploration and development, fluctuating commodity prices, competitive risks, and delay, inability to complete a financing or failure to receive regulatory approvals. Specific forward-looking statements in this release include the timing of the special meeting of the Lithium X shareholders and the completion of the Arrangement, including receiving the required regulatory and court approvals. Although management of the Company has attempted to identify important factors that could cause actual results to differ materially from those contained in forward-looking statements or forward-looking information, there may be other factors that cause results not to be as anticipated, estimated or intended. There can be no assurance that such statements will prove to be accurate, as actual results and future events could differ materially from those anticipated in such statements. Accordingly, readers should not place undue reliance on forward-looking statements and forward looking information. The Company does not undertake to update any forward-looking statements or forward-looking information that are incorporated by reference herein, except as required by applicable securities laws. The information contained in this release is not investment or financial product advice. SOURCE: Lithium X Energy Corp.